Find users with filters: You can now filter by admin role, job title, department, user status, and more. 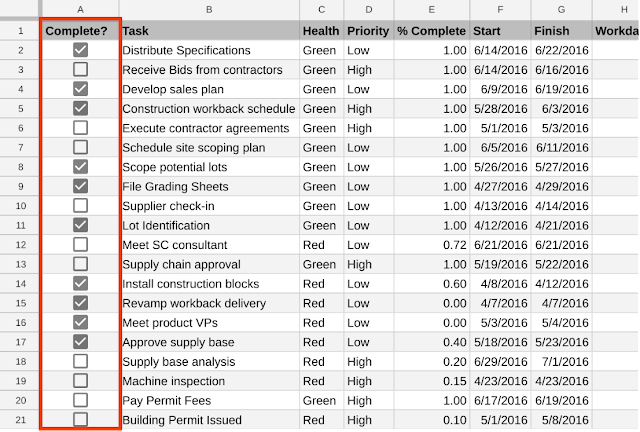 Download or export filtered lists: Once you filter, you can download a list of users with those filters applied. Improved search: Find users quickly using powerful new search features, including the ability to search within specific OUs and by user attributes. 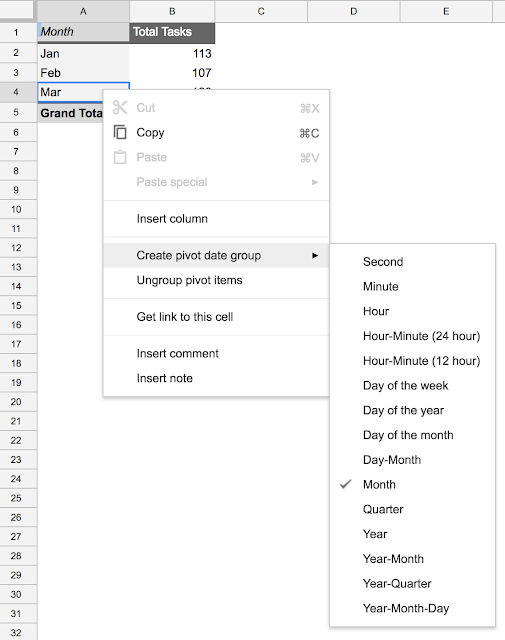 Customize your view: Customize the columns displayed in the table to see all the info you need in a single view. Learn more about filtering and searching here. Change individual user info: Hover over a user to take quick actions including reset password, rename user, suspend, delete, or restore user account, change organizational unit, and more. 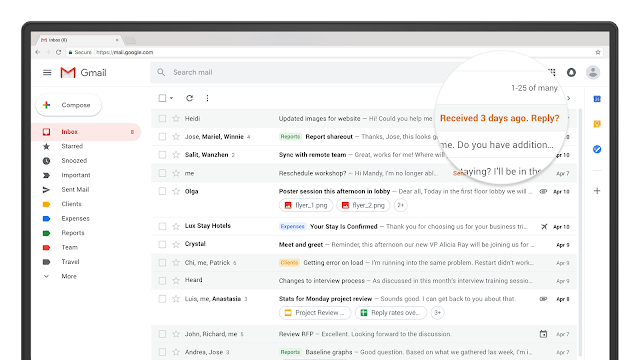 Update multiple users with bulk actions: Quickly edit info for multiple users with bulk actions such as add to group, email users, delete accounts, and more. There’s a new section dedicated to simpler management of organizational units. 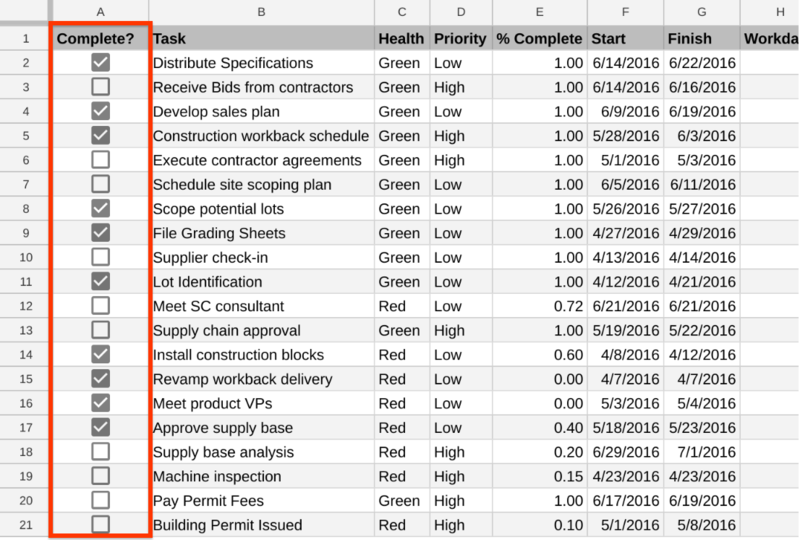 Here, you can easily create, move, and manage organizational units. Learn more about managing user accounts in the Help Center. We’re updating the User lists interface in the Admin console to make it easier to see, find, and manage users. These user list improvements build on the improvements to the user details experience we recently announced. 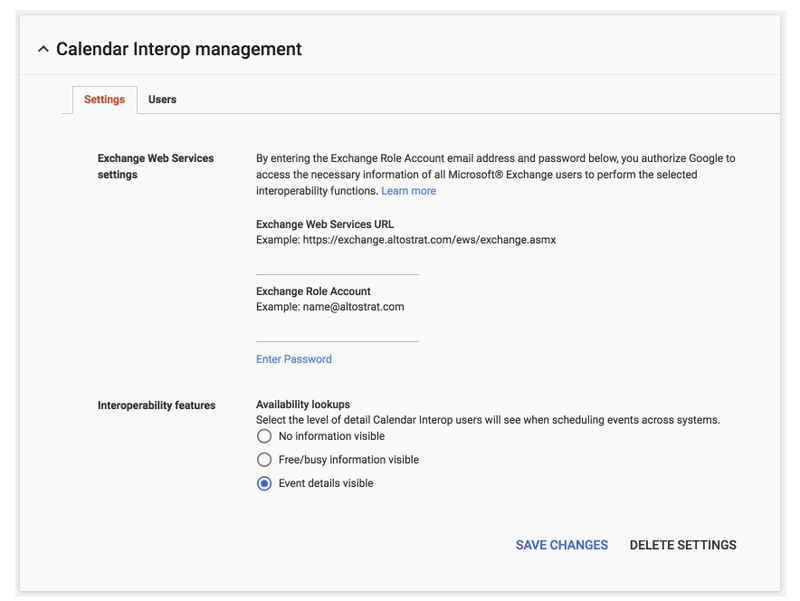 improvements to Google Calendar Interop for Microsoft Exchange. We simplified the setup process, introduced detailed logs in Admin console, and made free/busy lookups available on mobile as well as web. We have also improved our authentication mechanism recently, paving the way to a simplified Calendar Interop setup in the future. To be able to use the event details feature, you will likely have to regenerate Exchange credentials using the credential generation tool and update your availability address space as explained in steps 3 through 5 here. For more information on how to enable these new interop features, check out this Help Center article. 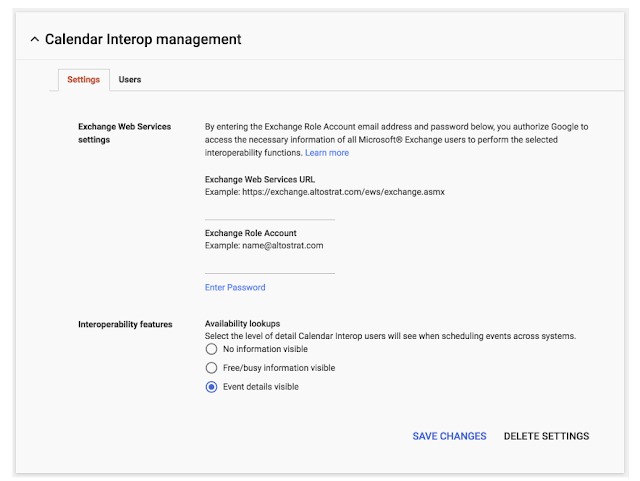 Last summer, we announced improvements to Google Calendar Interop for Microsoft Exchange. We simplified the setup process, introduced detailed logs in Admin console, and made free/busy lookups available on mobile as well as web. 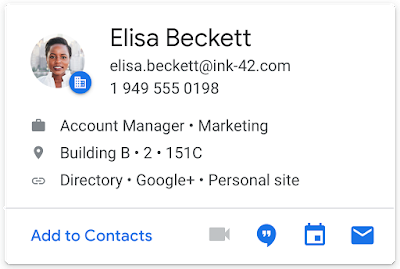 You can add an image for your organization in the Admin console at Company profile > Personalization; until you’ve done so, we’ll show the G Suite logo instead. 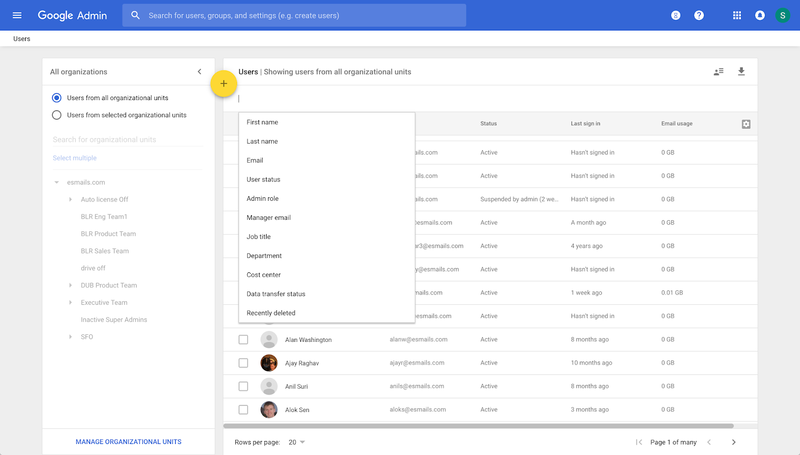 Note that this will roll out across G Suite services slowly, so you may not see it in all of your apps for some time. We’re updating the Google bar to feature your brand. Along with some small changes to the bar’s look and feel, we’ll soon show your domain’s logo next to a user’s picture (or initials or avatar) at the top of many G Suite services, like Calendar and Drive. To minimize disruption for the user, this feature will only be shown once per account per device. 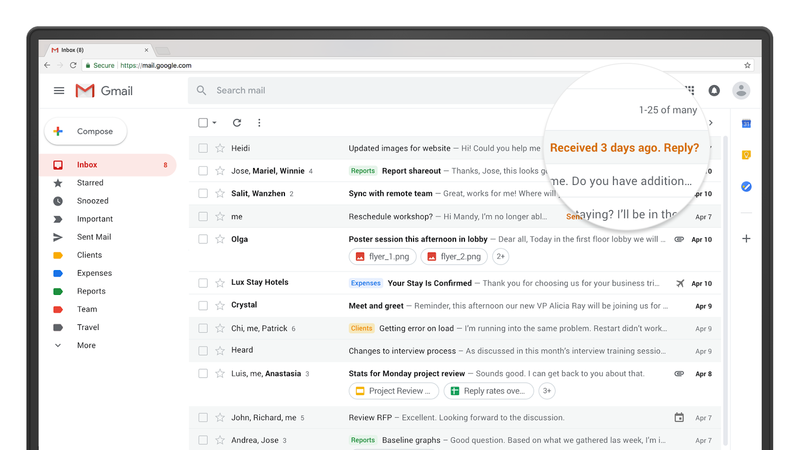 We’re working on ways to make the feature even more context-aware in the future, meaning your users should see the screen less and less over time. This new screen is intended to prevent would-be attackers from tricking a user (e.g. via a phishing campaign) into clicking a link that would instantly and silently sign them in to a Google Account the attacker controls. Today, this can be done via SAML single sign-on (SSO), because it doesn’t require a user interaction to complete a sign-in. To protect Chrome users, we’ve added this extra protection. This new security feature is part of a larger project to create a consistent identity across Google web services (like Gmail) and native Chrome browser services (like Chrome Sync). 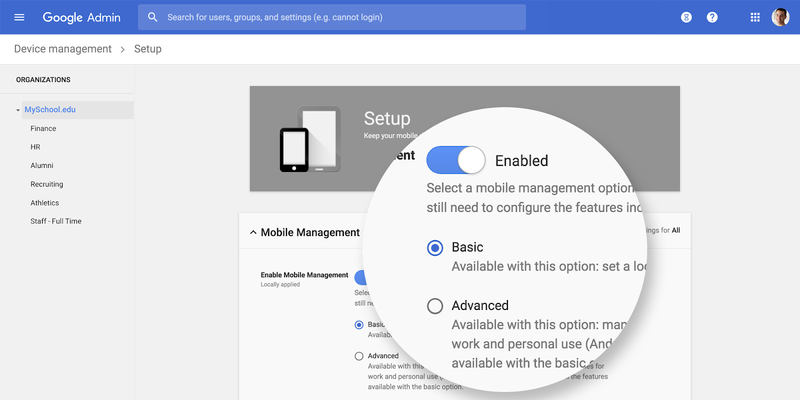 This consistency will make it easier for signed-in G Suite users to take advantage of native Chrome browser features, but it requires additional protection during authentication. This new screen adds that protection and reduces the probability that attackers successfully abuse SAML SSO to sign users in to malicious accounts. If you wish to disable the new screen for your organization, you can use the X-GoogApps-AllowedDomains HTTP header to identify specific domains whose users can access Google services. Users in those domains won’t see this additional screen, as we assume those accounts are trusted by your users. This header can be set in Chrome via the AllowedDomainsForApps group policy. 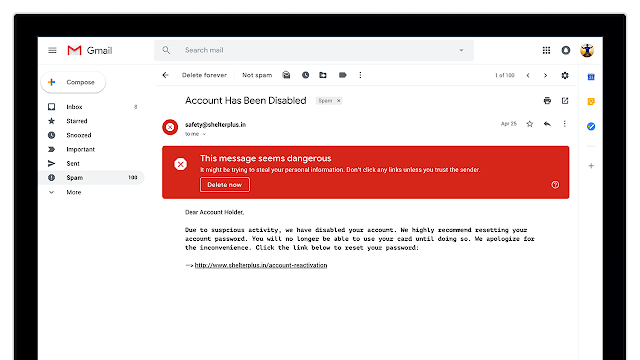 *This won't impact individuals who sign in to G Suite services directly and those who use G Suite or Cloud Identity as their identity provider. The screen is also not shown on devices running Chrome OS. 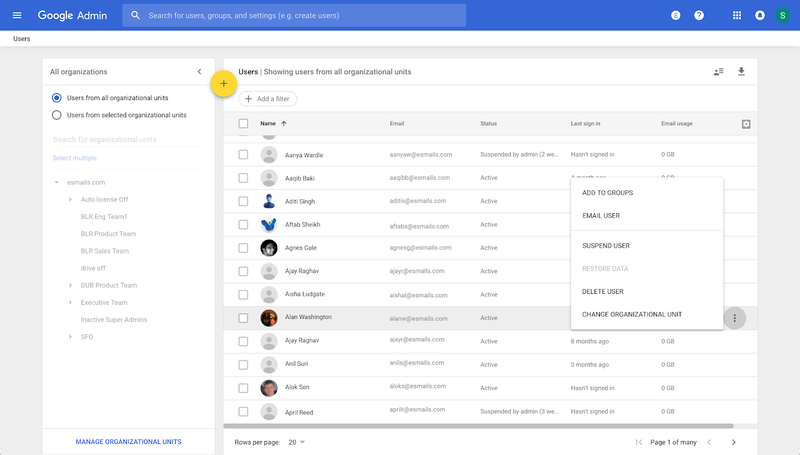 If your organization uses SAML to sign users in to G Suite services*, those users will soon see an additional step in the process when using Chrome as their web browser. 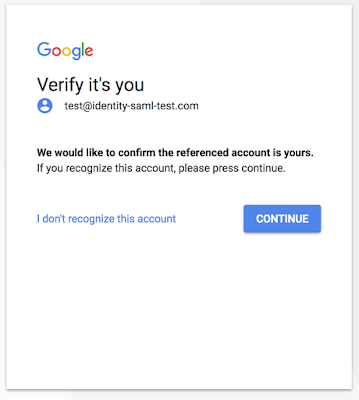 Starting on May 7th, 2018, after signing in on a SAML provider’s website, they’ll be brought to a new screen on accounts.google.com to confirm their identity. This screen will provide an additional layer of security and help prevent users from unknowingly signing in to an account created and controlled by an attacker. New notifications on mobile help you stay focused on what’s important (and eliminate clutter, too). 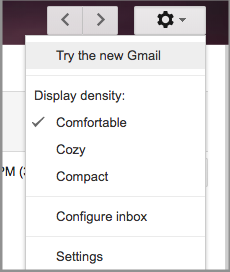 The side panel also makes it easy to access Gmail Add-ons, like third-party business apps you might use. This way you don’t have to switch between tabs or apps to get work done. 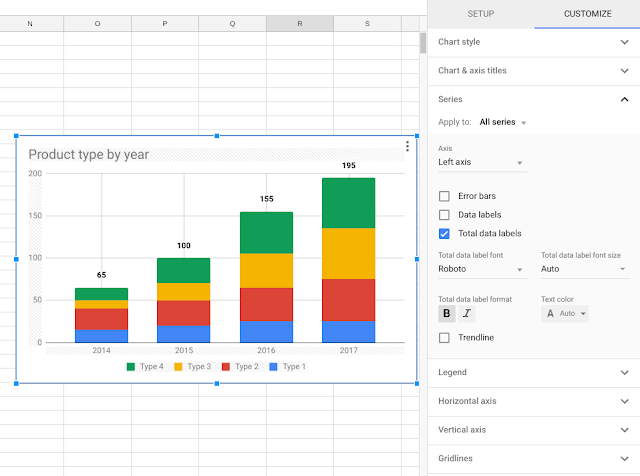 You’ll start to see the new side panel integration in other G Suite apps in the coming months—like inside of your Calendar, Docs, Sheets and Slides apps. 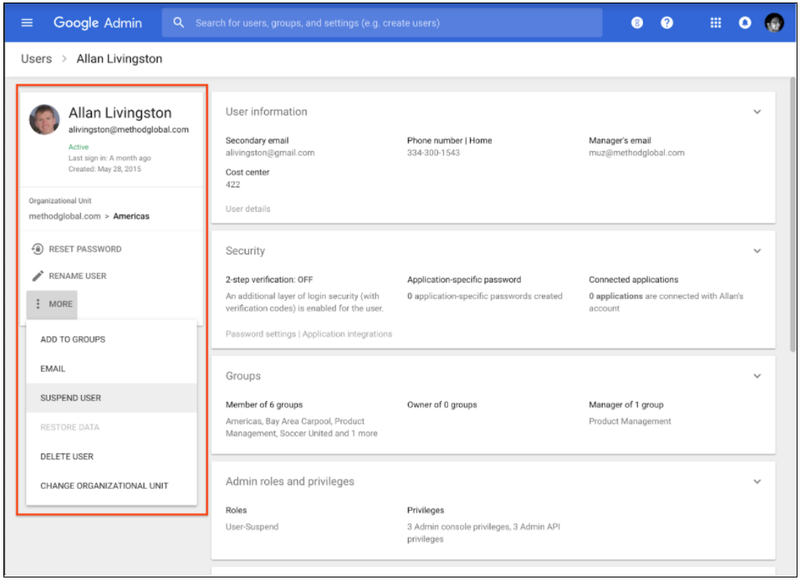 You can also delegate editing rights for some profile fields to end users in the Admin console at Apps > G Suite > Directory. Users can then edit their profile at aboutme.google.com. Additionally, in the future we’ll be providing support for you to delegate editing of other fields, such as Manager and Job Title. We recommend populating user profiles to unlock additional benefits for your users. 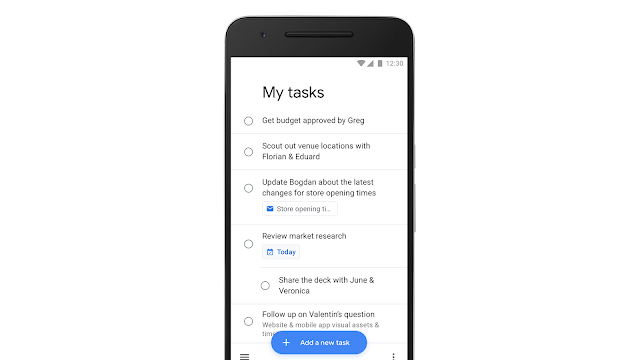 For example, in the near future, Calendar will start using work location to intelligently suggest meeting rooms for guests. You can see these cards now in Google Calendar and Google+ on the web. They’ll start to appear in other G Suite products over the course of the coming months. Whether your users are scheduling a meeting or catching up on Google+ posts, it’s important that they can easily see who they’re interacting with. 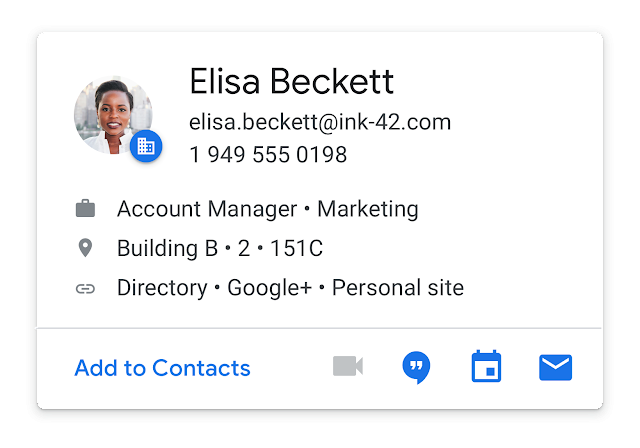 That’s why we’ve added new person information cards that appear inside your G Suite apps on the web, like Google+ and Calendar, when relevant. Now, all meetings created in Google Calendar by G Suite users will have a US dial-in phone number that anyone can use to join the meeting, even non-G Suite users. 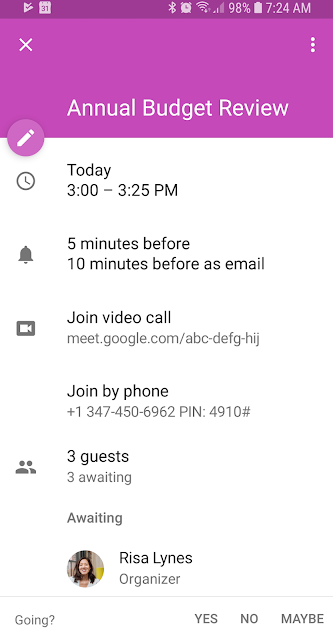 Meetings created by G Suite Enterprise users will also have international dial-in phone numbers available. 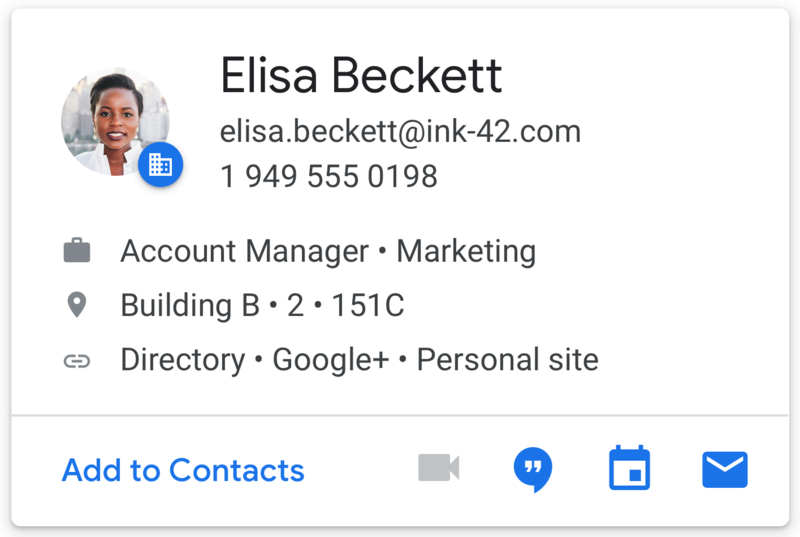 Phone number dial-in was previously only available for meetings set up by G Suite Enterprise users. Please note, administrators can turn off the dial-in feature in the Admin console. For more information on ways to connect using Hangouts Meet, check out the Help Center. Hangouts Meet makes it easier to connect with your team from anywhere with easy-to-join video calls. This includes when you’re away from your computer, like if you're commuting or don't have a data connection, and you need to call into your Meetings while on the go. 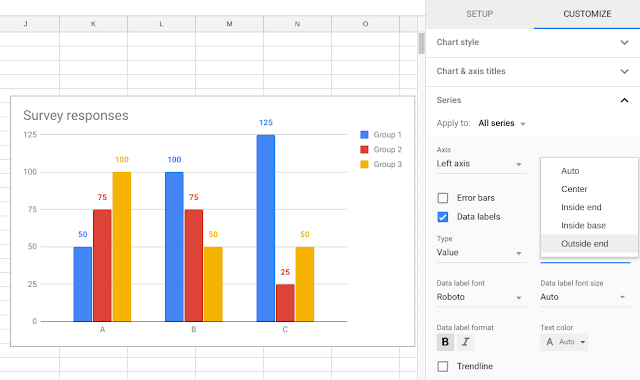 You can now add total data labels in stacked charts, which show the sum of all content in a data set. 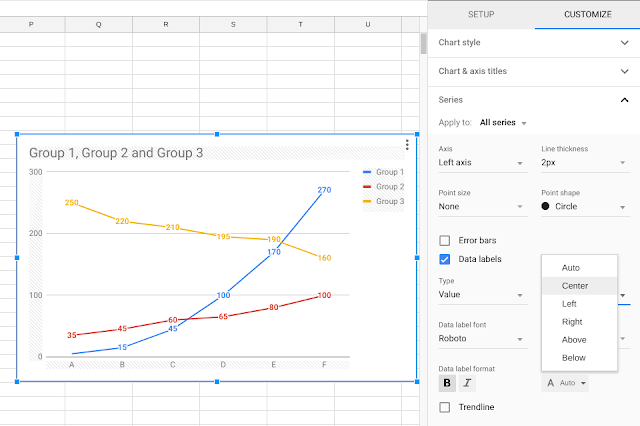 You can also choose where data labels will go on charts. The options you have vary based on what type of chart you’re using. We’re adding new features to help the charts you create in Google Sheets better represent the data they contain. 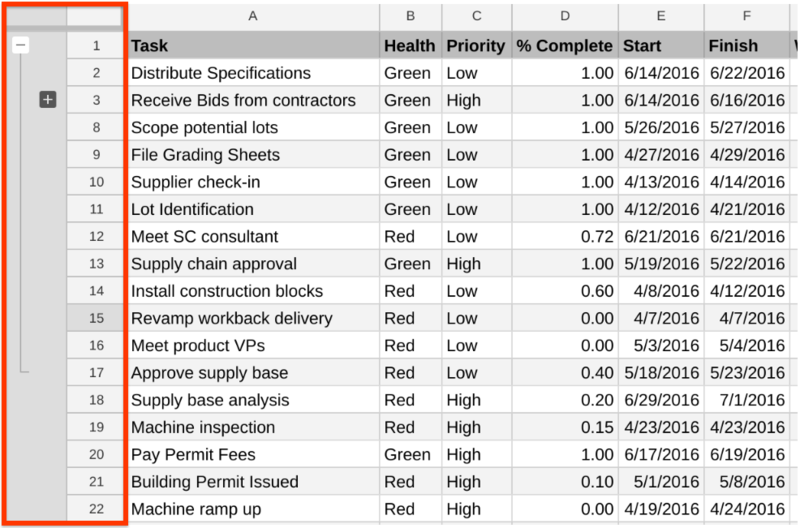 These features include showing total data labels for stacked charts and controlling where data labels are placed. 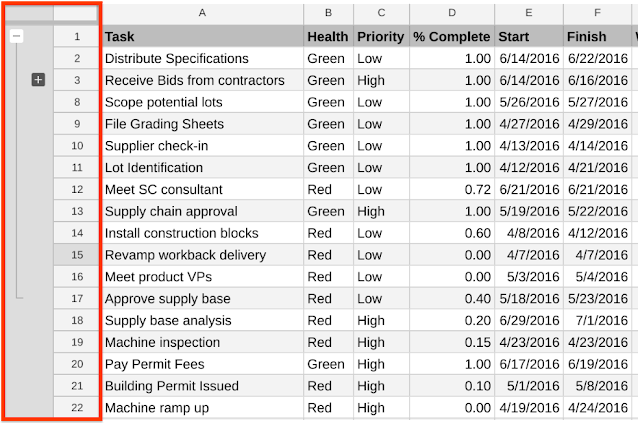 In March, we introduced a setting that allows G Suite Business, Enterprise, and Education admins to specify the duration of web sessions for Google services (e.g. four hours, seven days, or infinite). At the time, this setting only applied to domains where Google was responsible for the login (i.e. where Google was the Identity Provider). We’re now extending the reach of this setting and making it applicable in domains that federate to another Identity Provider (IdP) using SAML. Note that these settings apply to all desktop web sessions, as well as some mobile browser sessions. Native mobile apps, like Gmail for Android and iOS, aren’t impacted by these settings. 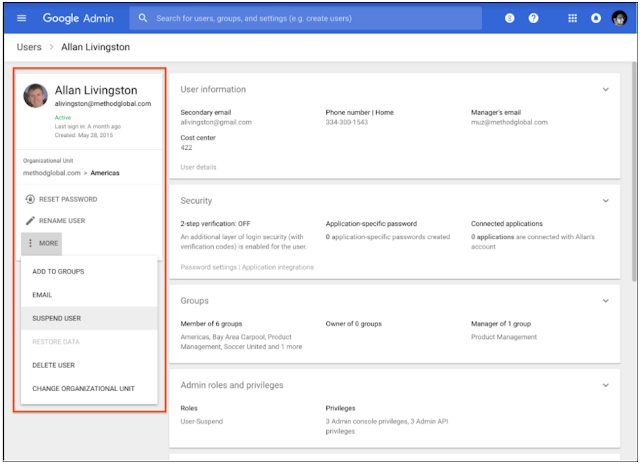 In the past, in order to give more control over session lengths to a G Suite customer’s preferred IdP, we set cookies for sessions created by federating to another IdP via SAML as transient, or session-based. These cookies were intended to expire whenever the browser was closed, meaning the user would be redirected to their primary IdP whenever they reopened the browser and visited a Google site. Over time, however, this behavior has become increasingly inconsistent across browsers. We believe that G Suite admins are better served by explicit session length controls, like the ones we just launched. Unlike session cookies, these controls are respected regardless of the user’s browser. With this in mind, we’ll be removing session-based cookies for G Suite customers who federate to another IdP via SAML on May 7th, 2018. Please consider setting a custom session length for your organization if your workflows depend on it. If it’s critical to replicate the previous behavior, where all sessions expired when a browser was closed, you can change the browser settings on impacted machines to delete all local data when the browser is exited. Instructions to configure this on Chrome can be found here. To deploy this policy on multiple machines, use Chrome policies to configure ephemeral mode. Update (April 24, 2018): Please note that this post has been updated with new instructions for replicating previous behavior. 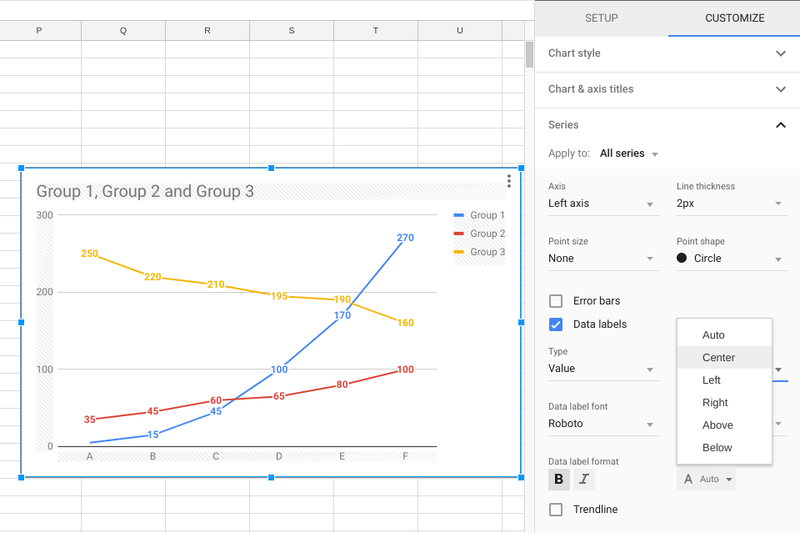 You can now insert a slide from a Google Slides presentation directly into Google Docs. 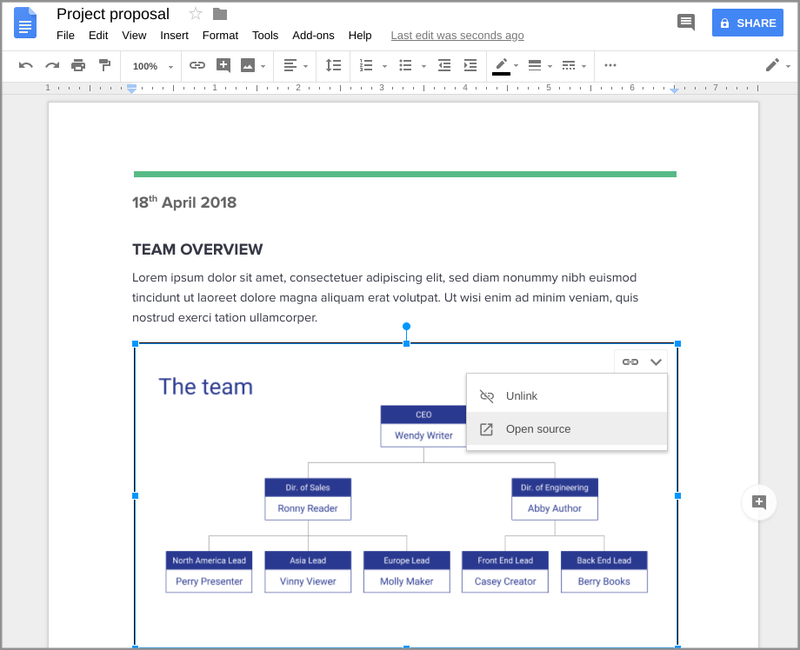 If you want, you can then link that slide in Docs to its source presentation in Slides and sync any changes with just one click—similar to the way you can insert and link charts from Google Sheets. This should save you from doing duplicative work and ensure that the content in your documents is always up to date. Use our Help Center to learn how to insert and link slides in Docs. You can now add guide lines for consistent placement and alignment throughout a presentation. These guides will show on all slides in a presentation, and text and objects will snap to a guide to ensure they’re aligned. We’ve also created a new visual ruler, which gives you fine-grained control over the alignment of text, lists, objects, and guides. Indentation markers in the ruler can help you control the alignment of text or bullets within objects. Use our Help Center to find out how to use guides and rulers in Slides. You can now comment on specific text within an object, such as a text box, on a slide. Previously, you could only comment on the whole object or the whole slide. We hope that this extra control over what you’re commenting on will make it easier to collaborate on presentations. For more information on working in Slides, please visit the Help Center. Today we’re introducing several features in Google Slides on the web that will make it easier to create, collaborate on, and share presentations. Read on for more information. Gmail logs in BigQuery allow institutions to run sophisticated custom queries, conduct deep analysis and build custom dashboards. 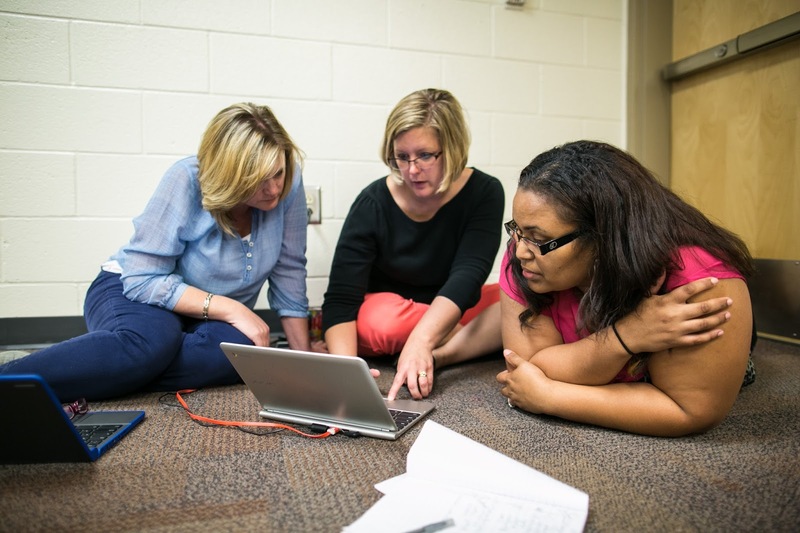 Gmail logs contain valuable information that can help administrators diagnose issues. 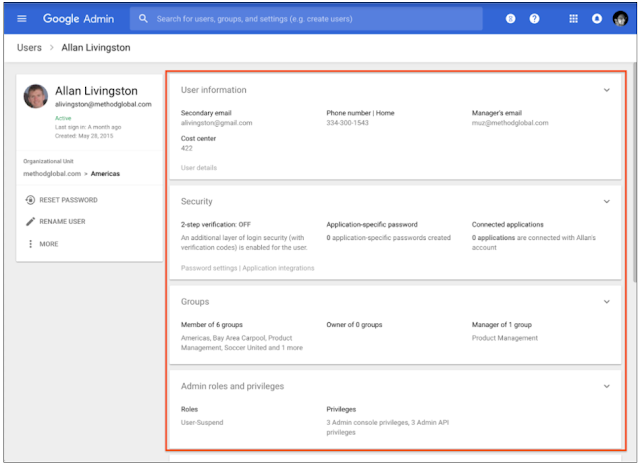 The integration with BigQuery makes it easier for administrators to analyze the logs and unlock insights to help they run their organizations. Google prompt the primary choice for G Suite users turning on two-step verification for the first time. Back then, we noted that users with iOS devices would need to install the Google app in order to use the feature. Today, we’re making it possible for users with iOS devices to receive prompts via their Gmail app as well. 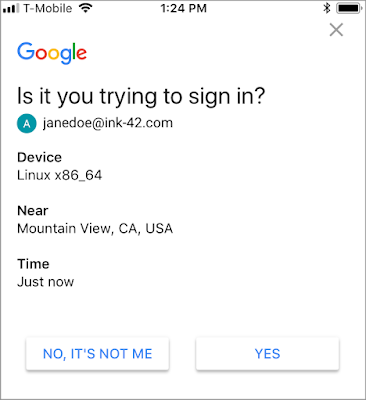 This should encourage more people to use Google prompt, which is an easier and more secure method of authenticating an account. 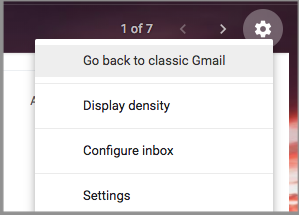 Note that if users have both the Google and Gmail app installed on their iOS device, they’ll see prompts from Gmail. 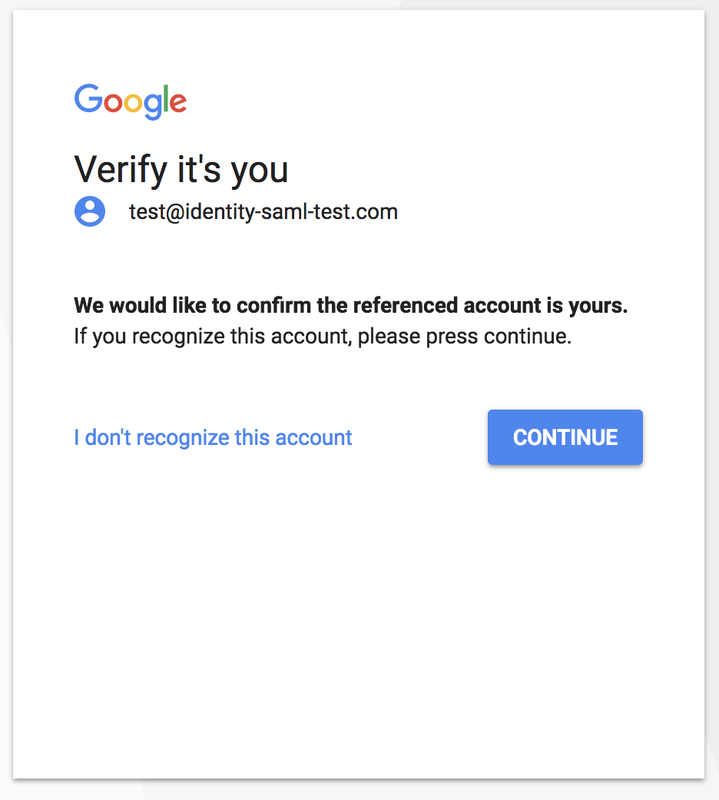 In 2017, we made Google prompt the primary choice for G Suite users turning on two-step verification for the first time. 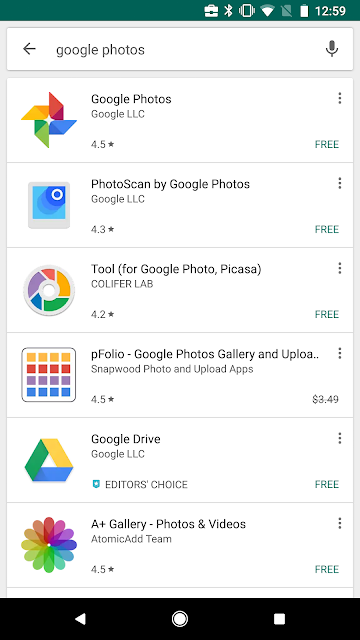 Back then, we noted that users with iOS devices would need to install the Google app in order to use the feature. 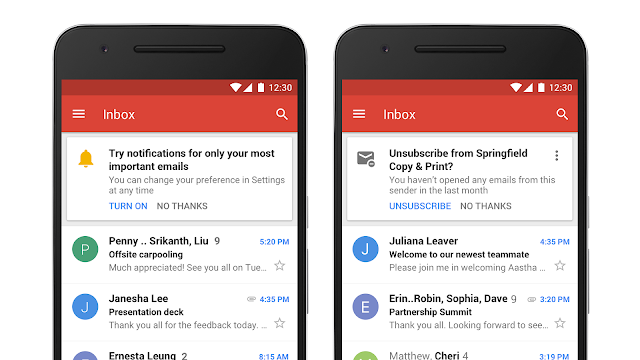 Today, we’re making it possible for users with iOS devices to receive prompts via their Gmail app as well. 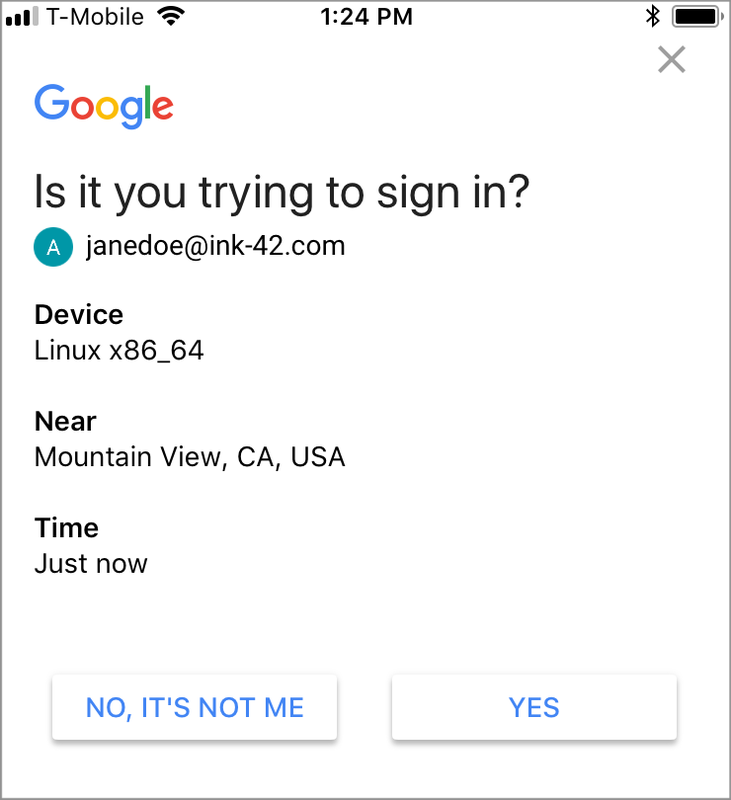 This should encourage more people to use Google prompt, which is an easier and more secure method of authenticating an account. When you click into an individual user, you’ll see a user information panel, which allows you to quickly see and edit basic information about the user. User information. View and edit the user’s contact information and see custom attributes. Security. Control the user’s security settings, like 2-step verification and security keys. Groups. 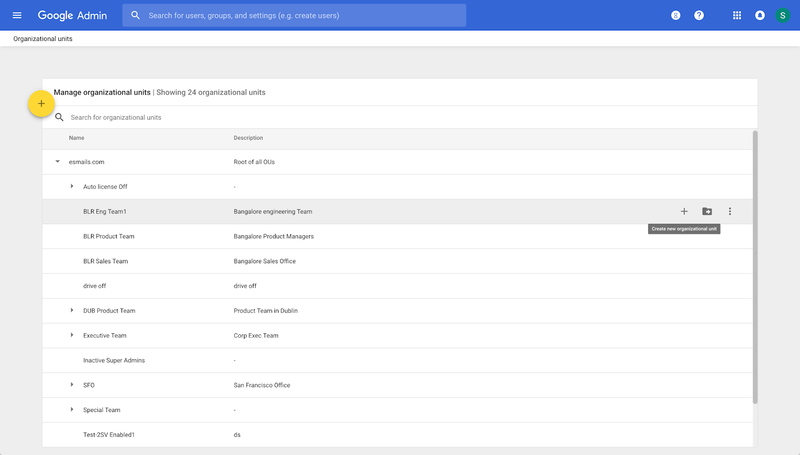 See the user’s group memberships and roles, and manage their roles in those groups. Admin roles and privileges. See and change admin controls granted to the user. Apps. 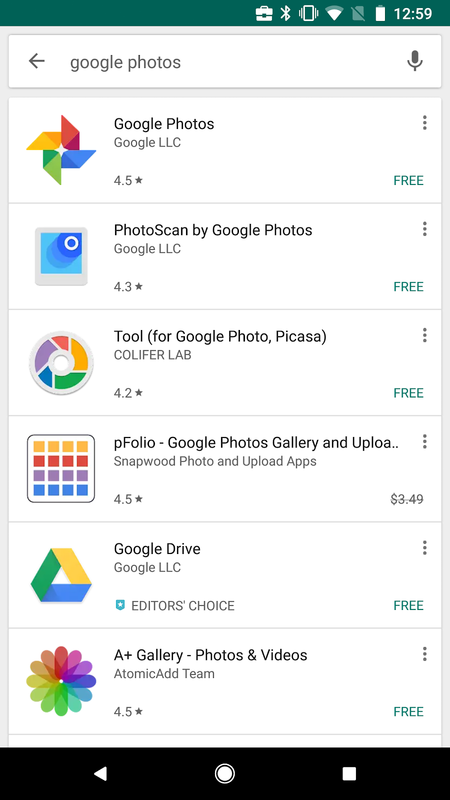 View apps the user has installed on a managed device. Managed devices. View and manage the devices associated with the user. Licenses. See licenses granted to the user and control individual user licenses. See more below. Team Drives. See the user’s Team Drives memberships and manage Team Drive settings. Improved license states to provide a better understanding of a user’s license assignment. Separate view mode and edit modes to aid decision making for license management. Improved error handling and messaging to help admins. We’re updating the interface you use when you manage your organization’s users in the Admin console. These changes will make it easier to find and control user information and settings. For more information, see our Help Center topic on how to add and manage users.